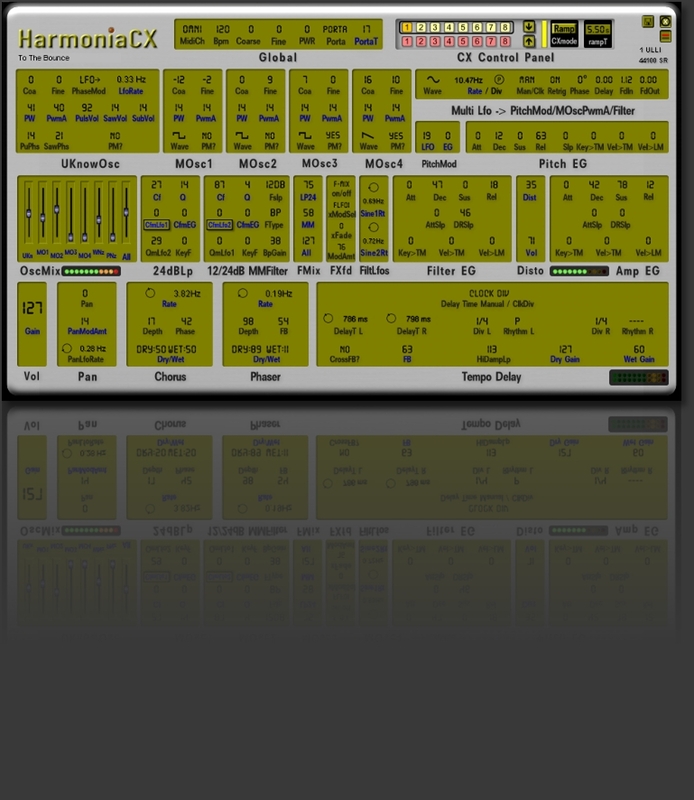 Modelled on a classical 2005 synth patch by Planetz member Spirit, with some improvements. correct Tempo Delay Times by using Will's/Simon's HostStat dll. Thanks again to both of you! The CX version has Parameter crossfade as an additional feature. All parameters with blue labels can be crossfaded. In the 'CX control panel', you see two banks, each with 8 sound slots - you can crossfade from any upper to any lower sound, and vice versa. you can copy parameters from the upper to the lower bank, and vice versa, simply by hitting one of the arrows. Parameters of the selected (upper/lower) sound slot will be pasted into the selected (lower/upper) sound slot. Installation: if you don't already have it, copy HostStatVCP100.dll to .../App/Dll; RampGen1.dsp to .../App/Dsp in your Scope installation folder.